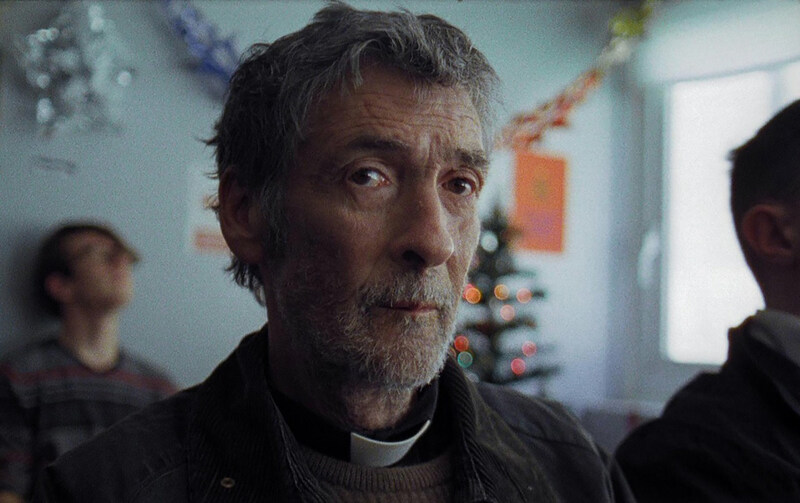 After watching Harry Lighton’s Wren Boys it’s easy to see why the film’s had such a successful festival run and sits in contention for the Best British Short Award at this weekend’s BAFTAS. DN caught up with Harry to discuss shooting summer-for-winter on 16mm and how he enriched the Wren Boys’ narrative through the subversion of audience expectations. How did you and co-writer John Fitzpatrick go about translating your thoughts on the remoulding of Irish societal and legal norms into the story of Wren Boys? When I was born, it was still illegal to be gay in Ireland. In 2015, 23 years later, a public referendum showed overwhelming support for equal marriage. That speed of change lends itself to a film exploring generational attitudes. In developing an early draft, John and I rolled two characters (priest and father-of-groom) into one (priest and uncle). Through this one character, we could then subvert expectations about how an a) old and b) Catholic man might behave. The phrase “you can’t teach an old dog new tricks” is insulting to all the open-minded elderly people I know. Looking at old traditions, behaviours and laws critically is up to the individual. The setting came from reading a penal reform report which asked whether inmates would be able to openly celebrate the referendum result. The answer in male prisons was no. But I wanted to open the door to this possibility by presenting a maverick gay inmate’s marriage being celebrated by other prisoners. The dialogue between ‘homosexuality’ and ‘prison’ in film has been pretty one-note. We knew we could play with the associations an audience would be making about masculinity/victimisation as they watched, which is how we arrived at the film’s climax. We knew we could play with the associations an audience would be making about masculinity/victimisation as they watched. In St Stephen’s Days of old, local boys would be sent out to kill a wren and the community would then gather to bury it: to bid farewell to the past and beckon in the new year. The tradition continues, but a fake wren has replaced the real bird. 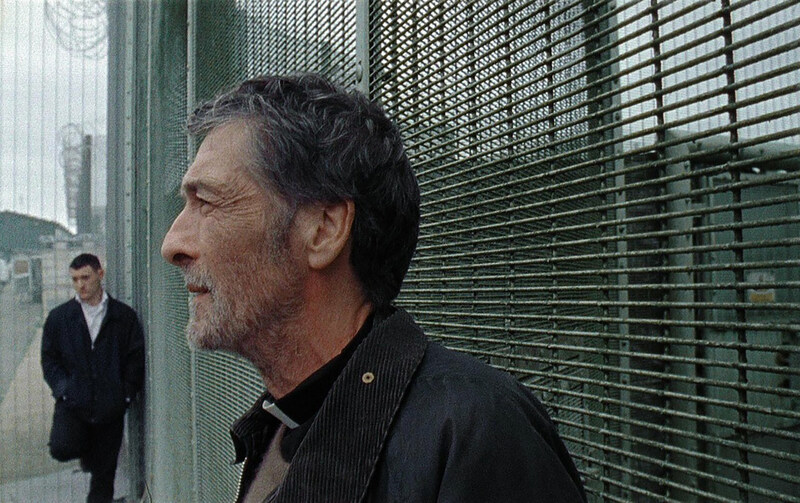 It struck me as a good frame for the story of a priest looking at religious tradition critically in the light of a new Ireland, whilst holding on to his personal notion of morality. Wren Boys progressed through several rounds of the London Calling scheme and also scooped the Jury Award alongside Bugsy Riverbank-Steel’s Fighter. What prompted you to submit the film to London Calling and what do you feel participation in the scheme brought to the final short and your craft as a filmmaker? We submitted to London Calling because they have experience in helping craft brilliant shorts year after year. The whittling down of candidates through the rounds meant I didn’t check my emails for 3 months without feeling a bit shaky. But at every step the London Calling team pushed us to better define our intentions. It was the first time we’d had a film through a proper development scheme, and their rigour has definitely rubbed off on my current approach to writing. They went above-and-beyond in supporting us through the wobbly moments, and the scheme also gives your short a buzz which is hard to generate independently. Your character personas do a great job of setting and then undercutting audience expectations – what qualities were you looking for when casting and how did those roles open up once you had your actors on board? I wanted leads who wore aggression (verbal/physical) as a shell, but who put that aggression across in an authentic manner – I wasn’t interested in someone performing the role of the ‘hard man’. On set I like the skeleton of a scene to be clear, but the specifics (words/movement) to shift with each take to keep things fresh. So we also needed leads who were smart with their improvisations. Diarmuid Noyes (Seamus) and Fionn Walton (Malky) gave very original auditions – they brought a banter to their parts which I knew could balance the script’s sentimental moments. That continued through to the shoot, where they’d go into unrehearsed takes with a great desire to cut to the truth of each moment. In what ways did the decision to shoot 16mm influence the stylistic approach you took on set? Myself, Sorcha (Producer) and Nick Morris (DoP) always wanted to shoot on film. We knew the skin tones would reward honest performances, and the grain would complement our thematic exploration of tradition. On the whole we wanted the film to feel authentic and the film negative offered this straight out of the can. Cutting this with iPhone footage at the film’s climax was our way of harnessing different formats to visually represent old and new butting heads. Our shooting schedule was incredibly tight, so 16mm allowed us to keep the camera very small and allow for long handheld takes. Going into critical scenes unrehearsed was a big pressure on the camera department, but they were up for the challenge which meant we could keep a rawness to the performances. The best thing about shooting with limited stock is it forces you to be make precise decisions. Making collaborative decisions is what I think directing’s really about, so 16mm suited our intention to not shoot coverage. How difficult were the challenges of securing a prison location and transforming the sweltering summer Midlands into a chilly Boxing Day in Cork? On paper it looked impossible on our budget. I was whining on the daily about the prospect of cheating a prison out of some school corridor. But then we found a man called James Friedland, the Head of Tourism in Rutland, who essentially became our Locations Manager. Thanks to him, we found all our locations within a 30 minute drive of the prison. We love James. Making collaborative decisions is what I think directing’s really about. Shooting summer-for-winter makes day-for-night seem a doddle. Fortunately Ireland’s green most of the year. So we avoided seasonal exteriors, and looked to use choice details (heavy use of an Artem in the wren sequence / frosting on wing-mirrors / Christmas decorations) to bed the audience in the season. Nick worked closely with Oisin O’Driscoll at the Mill London and decided on shooting everything with tungsten stocks, without making any compensations with filters. This kept the image cooler from the off and gave Oisin options for keeping a cooler look in the grade. And our brilliant Production Designer (Alex Toomey) and her team pretty much plastered and re-painted an entire prison to match our cool palette. You’ve previously spoken about the necessity of being ruthless in post – how clear cut was the process of structuring Wren Boys in the edit? The overarching structure was fairly clear, but within that there had to be a lot of experimenting. I guess that’s the case when you don’t shoot with much of an eye on continuity. 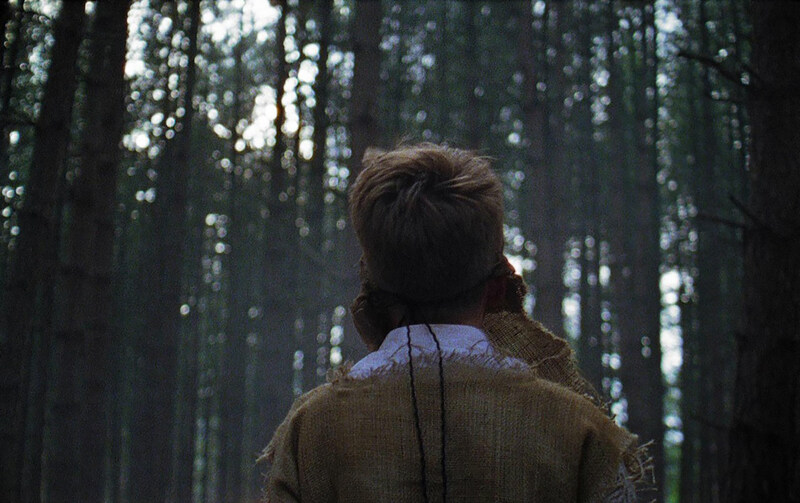 My Editor Julie Buckland is the slickest – she finds a way to sculpt sense from the rushes, and is incredibly patient. How far out are you from new short Leash and the Japan set feature you’re developing? Can you share any details about those projects? Leash is pretty much done and dusted – just a few tweaks needed. That’s about a Welsh girl gang who blur the lines between patriotism and xenophobia during Euro 2016, and has a couple of heightened elements to it. It was the result of a competition (The Pitch) which commission a script each year based on a Bible passage, so was a good experience of working with a source text. The Japan-set feature I want to keep tush about for now. Broadly speaking, it throws the lead into a foreign subculture, and explores how he copes with the demand to assimilate without a mutual language.